The seat warmer is provided to warm the rear seats during cold weather. 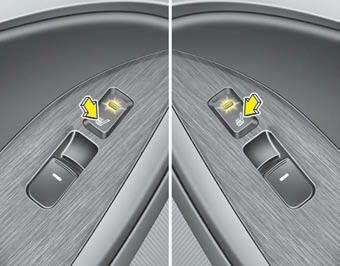 With the ignition switch in the ON position, push either of the switches to warm the seat. During mild weather or under conditions where the operation of the seat warmer is not needed, keep the switches in the OFF position.